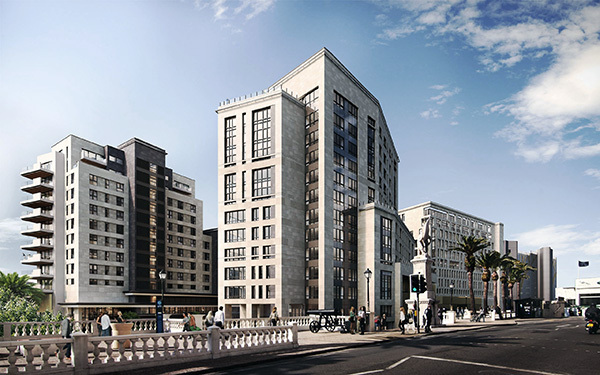 Midtown is a landmark scheme in Gibraltar providing apartments, offices, parking and commercial spaces around a dynamic courtyard. 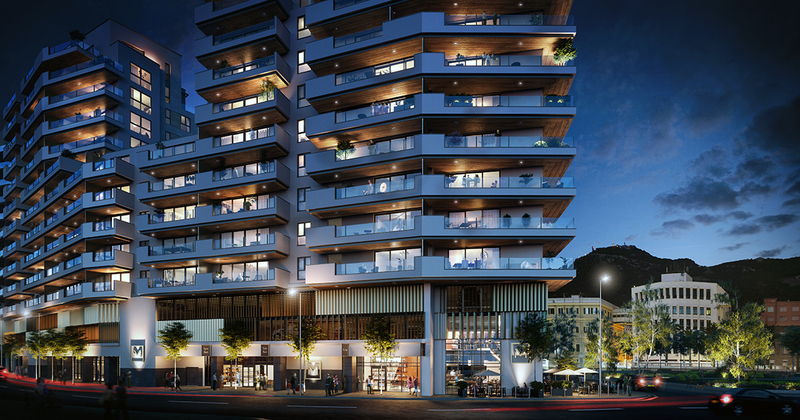 Lifting the car parking to the first floor allows retail spaces to bring life into the development. 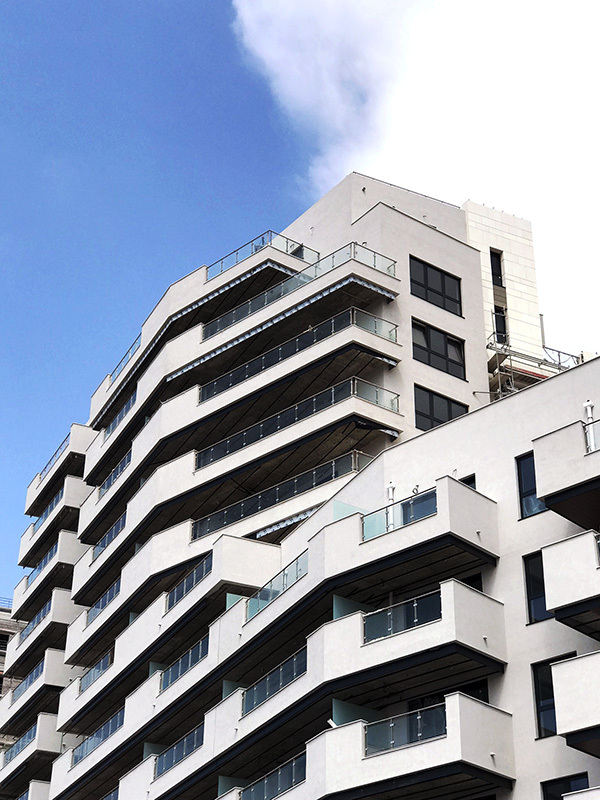 Above, there are 12 levels of generous apartments as well as premium office space. Being located immediately adjacent to the city walls at the main access point from the old town, it was important to get the balance right between the historic setting and creating a new business and residential hub. The deep reveals to the façade give solidity to the buildings while the faceted design references the bastions nearby.